Local County Councillor Robert Vines provides a quick update on some of the major transport issues Gloucestershire County Council has been progressing. • The Shurdington Road between the Morrisons Roundabout and the Brockworth bypass was resurfaced in the late summer. 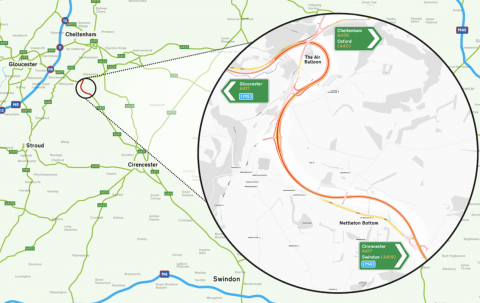 • The A417 Crickley Hill to Cowley Roundabout ‘Missing Link’ solution appears to have slipped backwards. After about 15 years of hard work there seemed to be a consensus that the Brown Route option was the favoured way forward, but with a new consultation exercise in process, all options are now back on the table. • M5 junction 10 – the need for a four-way junction is still being assessed, the local MP’s have been briefed in the hope they can push this forward.